Christy recommends: Complete your collection with a coordinating Supreme Robe, or why not add warmth and depth by pairing with the Supreme Capsule Stripe Robe to keep you cosy all year round. Made with 100% Supima Combed Cotton, 650 GSM. Free Delivery on orders over £30 and Free Returns using CollectPlus. If ordered on Friday before 12pm, your order will arrive on the Monday, not Saturday. For the price is was expecting towels to be fluffier. Very soft and great colour choice. The towels are soft and a lovely colour. See quite good. Nice colour. Nice size, good quality, lovely colour. Texture soft and fluffy,can be kept like this by tumble dry. Very soft and absorbent bath towel. I repeat my opinions as in question one. Good. Too many questions now !!! Not so pleased with the colour but quality good. Order met all expectations; first class. Like the colour and quality. Nice size face cloth and good quality. 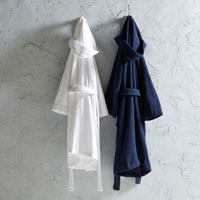 These towels are soft and cozy and a beautiful deep blue. Lovely thick towels and beautiful colours.can’t wait to use them in my new bathroom. The bath towel is really thick and cosy. Good size. Gorgeous fluffy towels. Love them. Gorgeous towels. Have only ordered two direct because local store ran out, already have four. Lovely soft, heavy towels which on close inspection have no flaws or pulls so am tempted to buy another set in a different colour. As before, good quality nice towels. These hand towels are larger and thicker than towels I have bought from supermarkets over the past few years. There is really no comparison as they are much better quality. I love them. I love Christy bath sheets and have not one for some time. It is large and of a quality I have missed. Nice and fluffy towels always look good hanging on the towel rail. Très beau produit correspondant parfaitement à la description. Perfect towels soft and absorbent! Lovely soft towels that wash well. There was a thread pull on arrival, which my wife has carefully threaded back into the fabric. Have laundered the items and they are now ready for use, and looking forward to using them. I placed a large order of towels and bath mats. Very good quality as usual. I have been using Christy towels for many years and never been disappointed. Great quality ( I am familiar with the product- all my towels as above). Renaissance towels the best in my opinion. This is my second purchase and the previous ones are still as new. They survived my treatment which is pretty rough and no tumble dryer. Latest lot are pink for the girls. 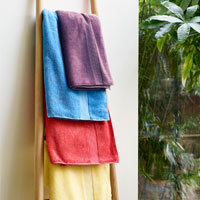 Great bold coloured towel. Good quality and great size. 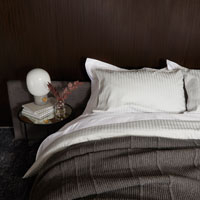 Towels are as expected sumptuous and luxurious. Towels are sumptuous and luxurious.